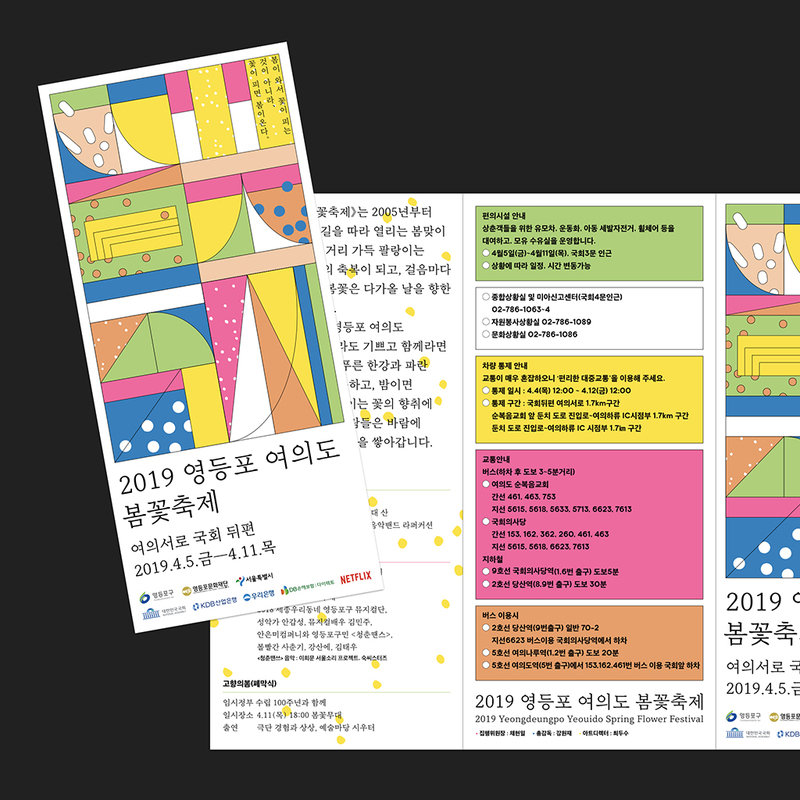 일상의실천에서 <2019 영등포 여의도 봄꽃축제> 그래픽디자인을 진행했습니다. 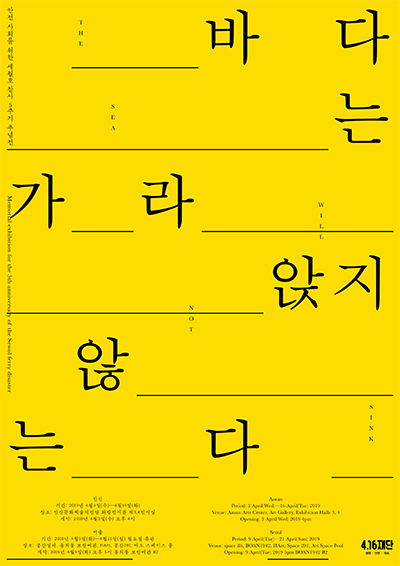 ‘여의도 봄꽃축제’는 왕벚나무 1,886주를 비롯, 진달래, 개나리, 철쭉, 조팝나무, 말발도리 등 13종 87,859주를 즐길 수 있는, 서울 도심에서 열리는 대표적인 봄꽃 축제입니다. 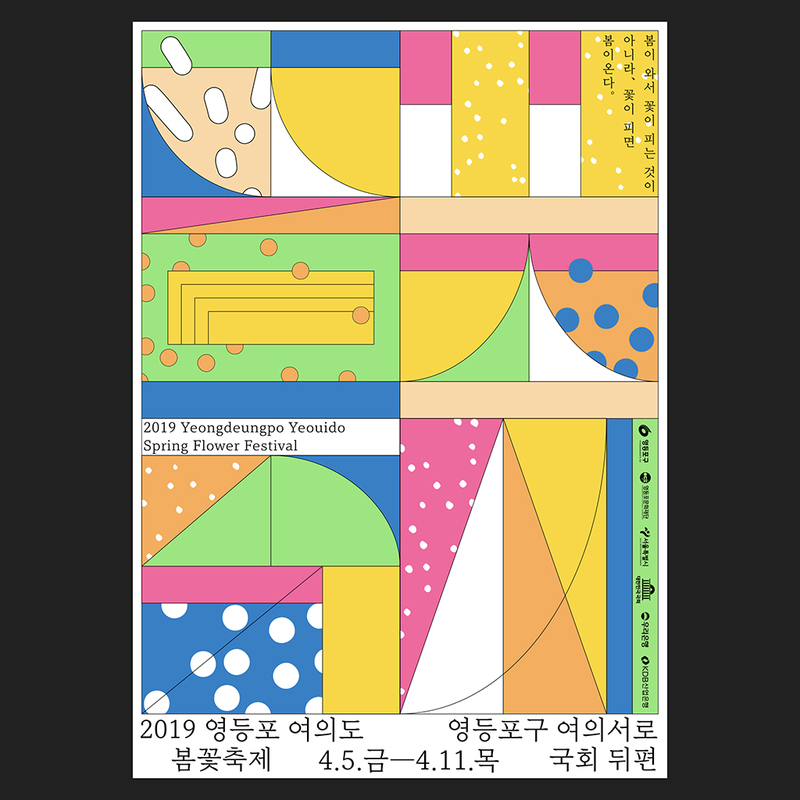 일상의실천은 ‘봄꽃축제’를 조형적으로 재해석한 타이포그래피와 봄꽃에서 차용한 다채로운 컬러, 그리고 꽃잎이 흩날리는 풍경을 시각화한 포스터를 디자인했습니다. 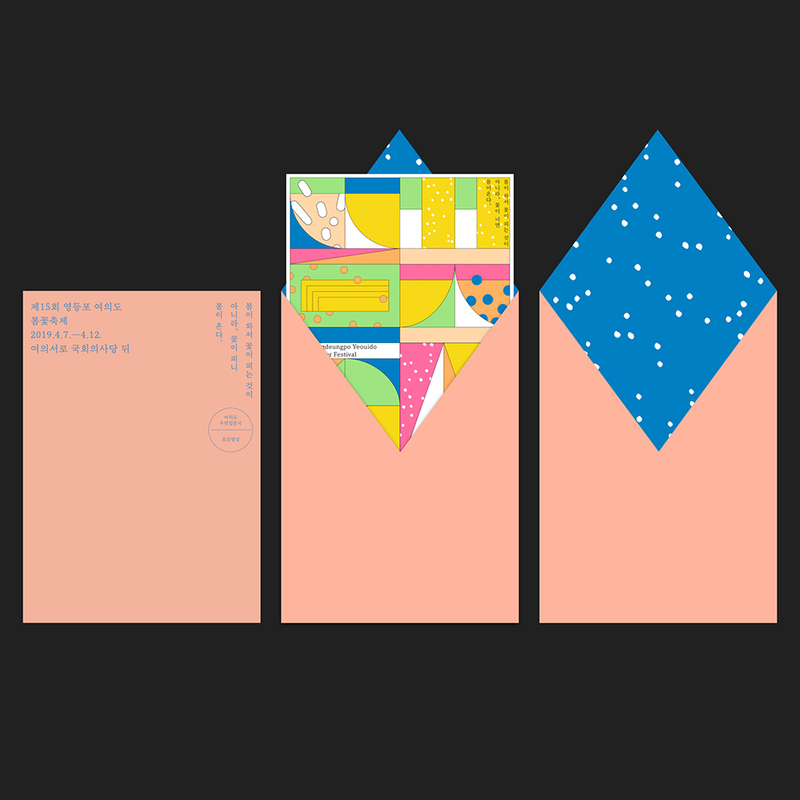 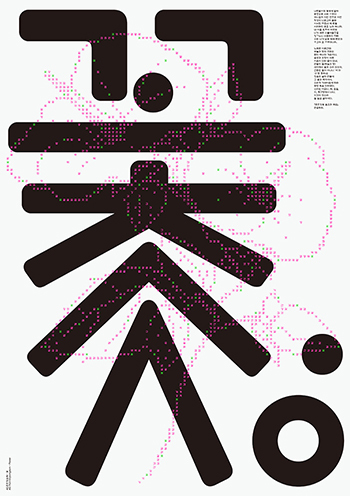 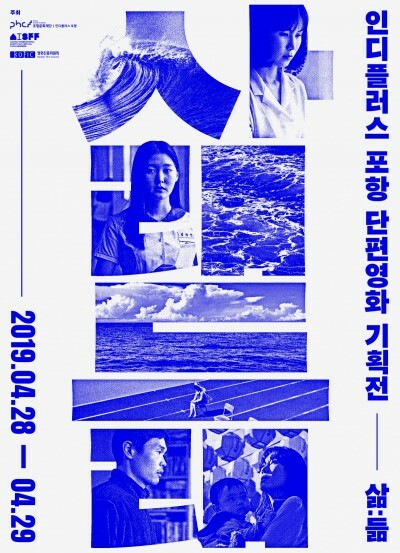 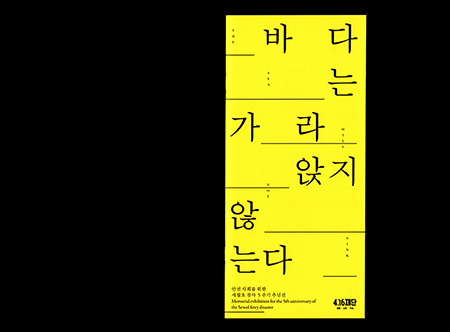 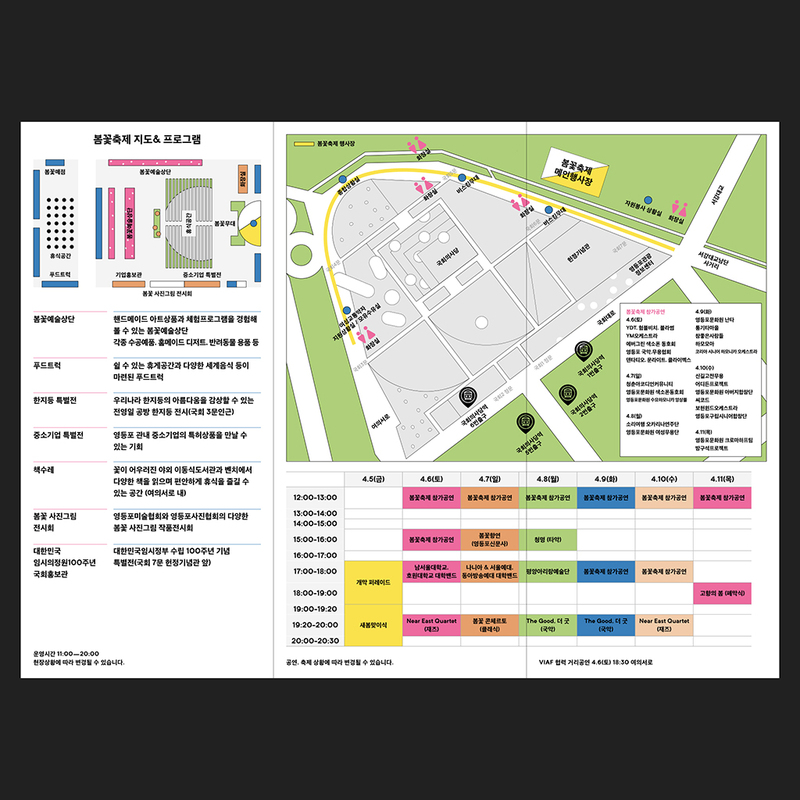 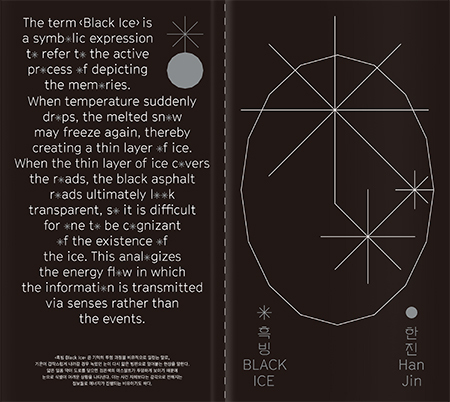 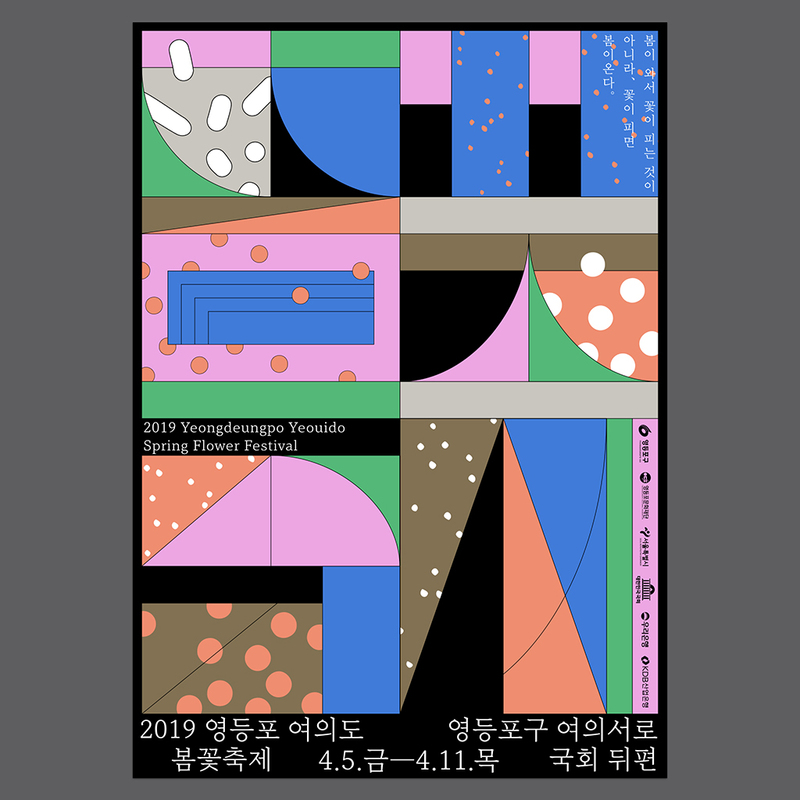 Graphic design for <2019 Yeongdeungpo Yeouido Spring Flower Festival>. 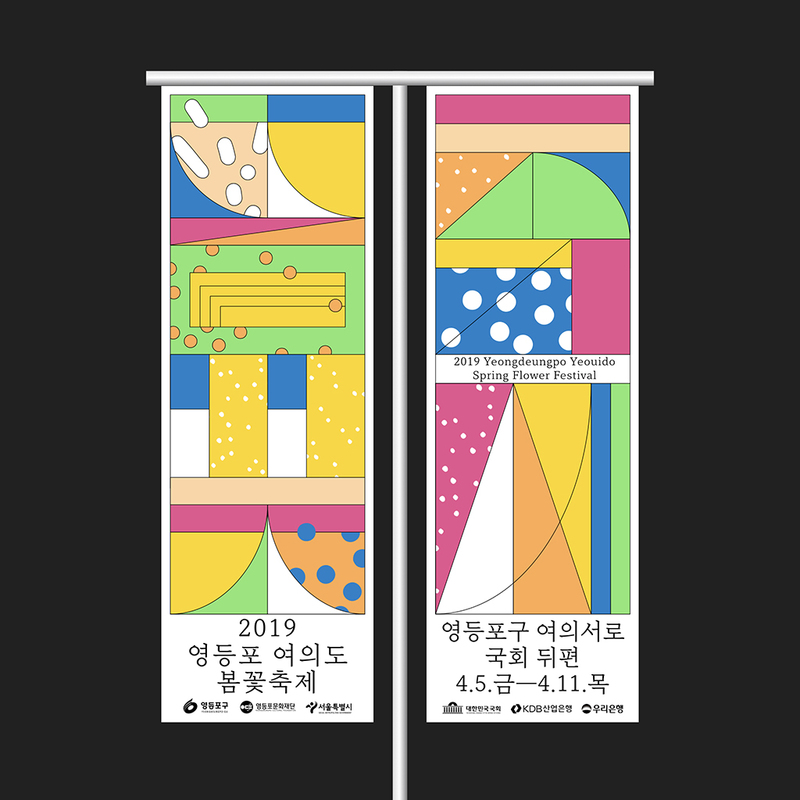 ‘Yeongdeungpo Yeouido Spring Flower Festival’ is a representative spring flower festival held in the downtown Seoul with 1,886 royal cherry trees and 13 kinds of 87,859 spring flowers, including forsythia, azalea and royal azalea. 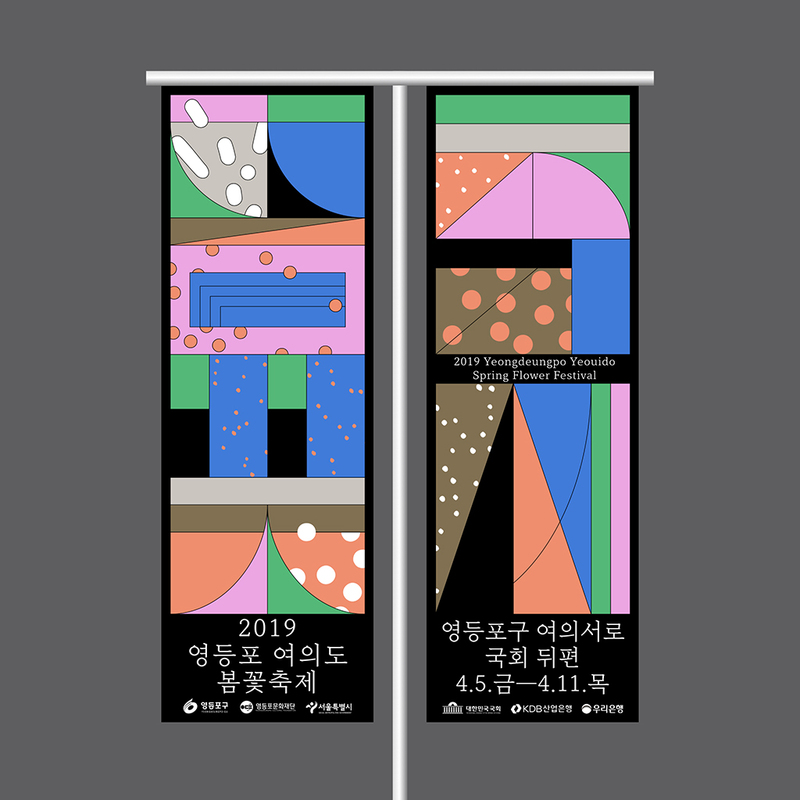 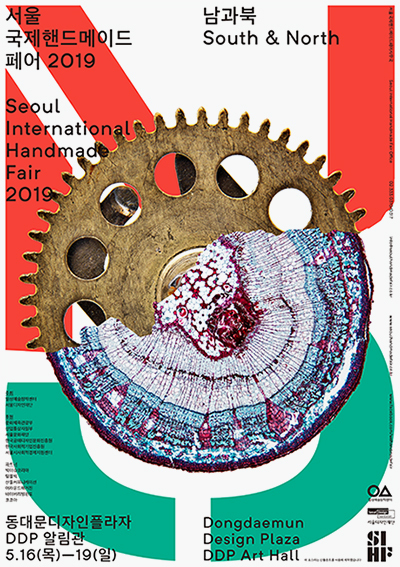 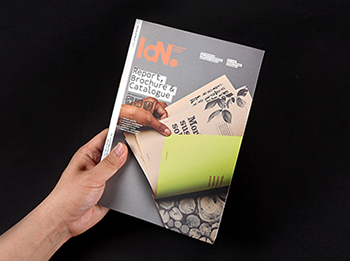 We designed poster series and design applications with typography, a structural reinterpretation of ‘봄꽃축제 (Spring Flower Festival),’ colorful colors borrowed from spring flowers and flower petals flying around on spring days.